* Dads give so much of themselves in so many ways. 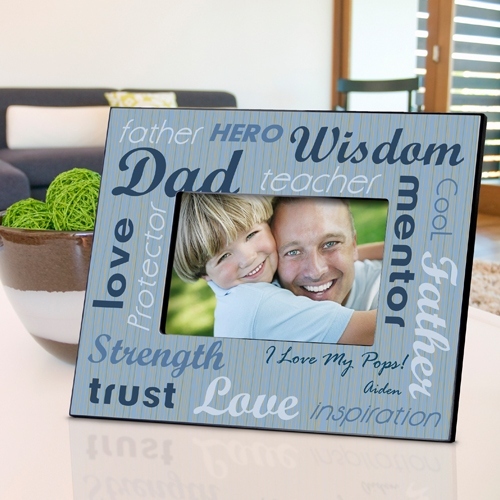 * Tell your Dad how much you appreciate all the roles he plays in your life with our personalized All-Star Dad photo frame. * Emblazoned with the names of the many jobs he tackles on a daily basis, he can proudly display this handsome blue-toned frame at work or at home. * Add your favorite photo for the perfect gift! * Features 2 lines of personalization. * Frame holds a 4" x 6" frame.